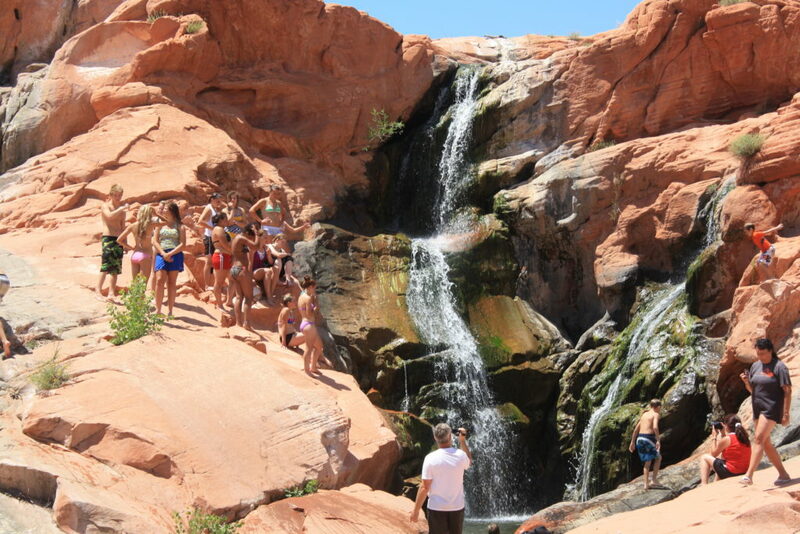 FEATURE – It’s just under two weeks into summer for Southern Utah school children. Are your kids bored yet? Are you pulling out your hair wondering what to do all summer to keep them entertained and happy without putting them in front of a screen? The following list can help you – a tour guide of sorts of things you can do with your children in southwestern Utah to make this a summer you and your children won’t forget. 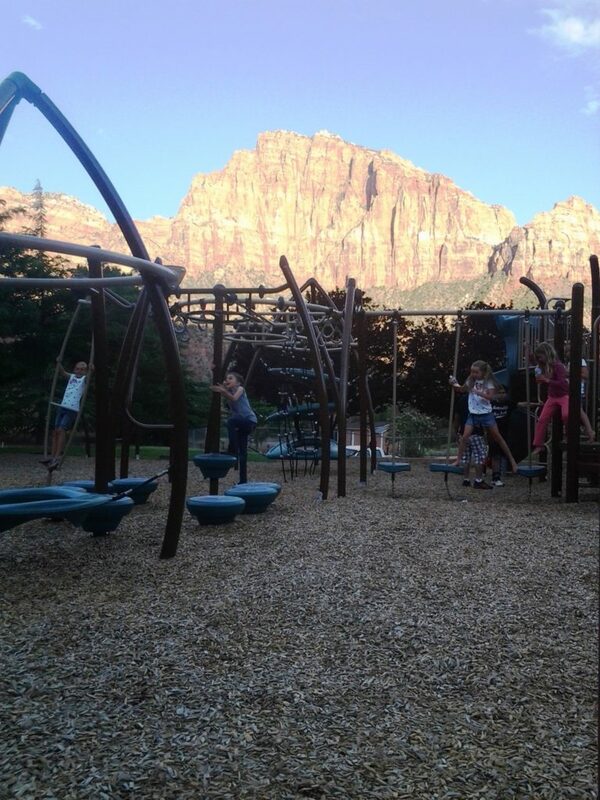 Highland Park, Washington City – This park, sitting atop a small mesa in Coral Canyon, provides expansive views into Zion on the east, the Pine Valley Mountains to the north and Washington City an St. George to the west. It features a large play area with a climbing wall, tire swings and an area geared toward toddlers. Cottonwood Cove Park, St. George – Located on Dixie Drive north of Tonaquint Park (another good choice with its nature trail, pond and botanical garden) and Southgate Golf Course, this park boasts non-typical playground elements and an artificial rock wall just begging to be climbed. Hidden Valley Park, St. George – Nestled in an Ivory Homes development near Desert Hills High School, Hidden Valley Park boasts a large play area, splash pad and a trail surrounding it, among other amenities. Springdale Town Park, Springdale – This park is worth the drive just for the view surrounding it. 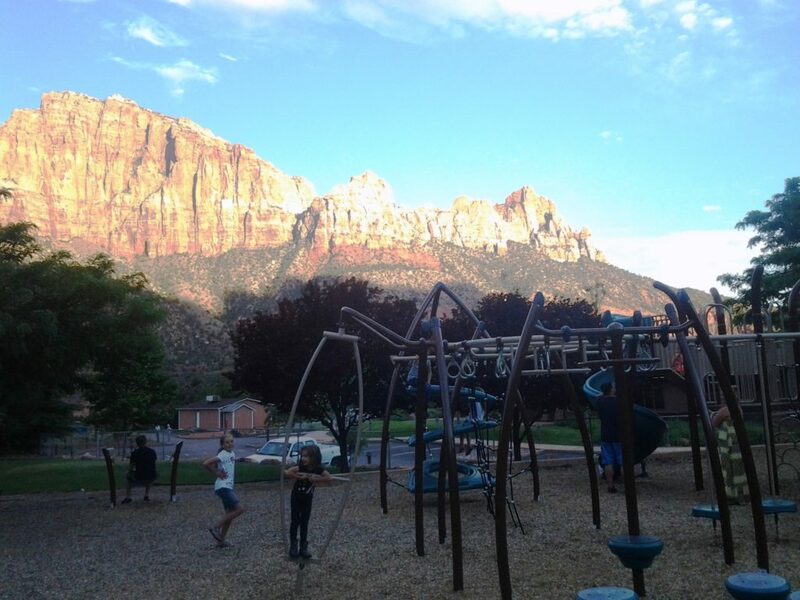 Nestled away from the main touristy area of Springdale up Lion Boulevard next to the Springdale town offices and Community Center, this park makes you and your children feel as if you are playing on a playground in Zion National Park itself with the towering monoliths surrounding it. If you’re tired of always going to the pool closest to your home, try a pool a little farther away, which will have different features and different people, including the Sand Hollow Aquatics Center, the St. George City Pool, the Washington Community Center Pool, the Hurricane City Pool and the Cedar City Aquatic Center. Sometimes it’s nice to swim and play in natural, free-flowing waters instead of a man-made, chlorine-filled swimming pool. 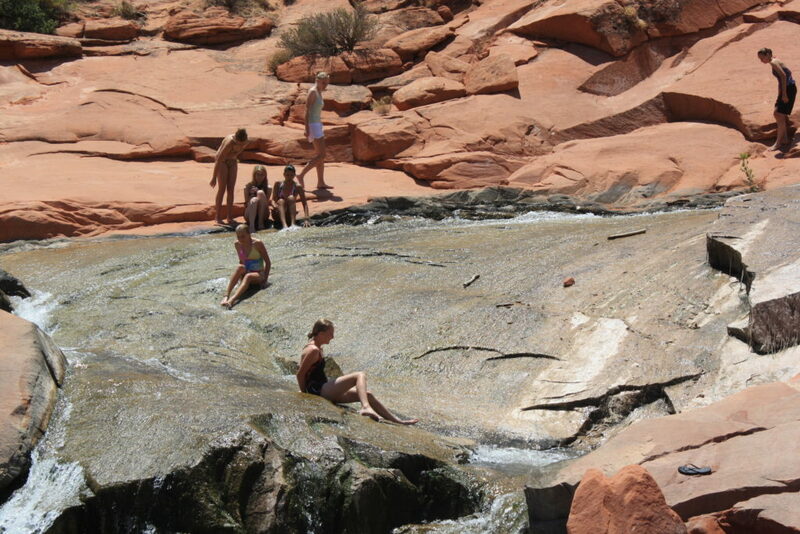 A few fun local swimming holes include Toquerville Falls, Sheep’s Bridge in Virgin, Lower Pine Creek in Zion (which is away from the crowds of Zion National Park) as well as an ideal red-rock swimming hole just below the Gunlock Reservoir Dam (see Ed. Note). 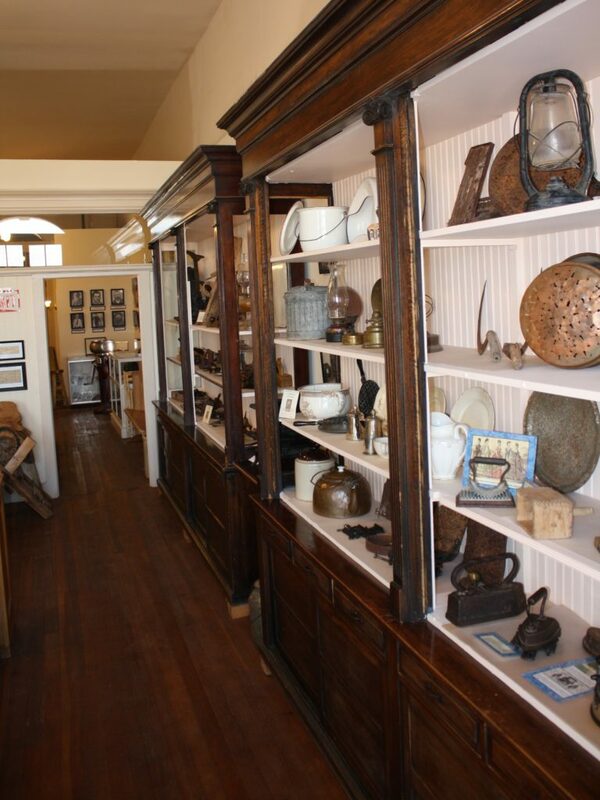 Let your children discover and learn about the area’s history, as well as find out how things were done in the past with artifacts such as a chamber pot (they might blush when they find out its purpose), a flat iron or a butter churn. To a child, the thought of going to a museum might seem boring at first, but you’d be surprised at how eye-opening it can be, especially when kids come to the realization of how good they have it in our day and age by learning about the struggles that earlier settlers endured. 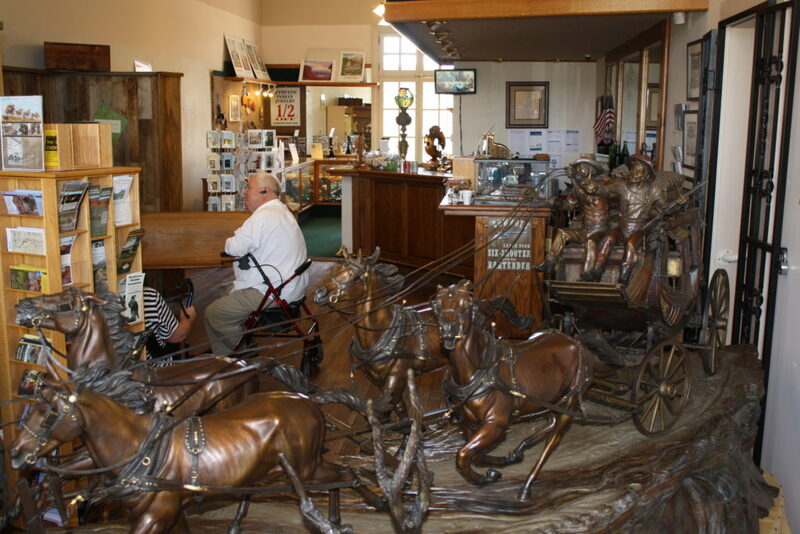 Daughters of Utah Pioneers Museum (aka McQuarrie Memorial Museum) – This museum is especially good for children as it provides them with scavenger hunt when they walk in the door – a sheet listing items they’ve got to find and cross off, and if they complete it, they get a prize. It is full of artifacts from yesteryear, from clothing to chamber pots. 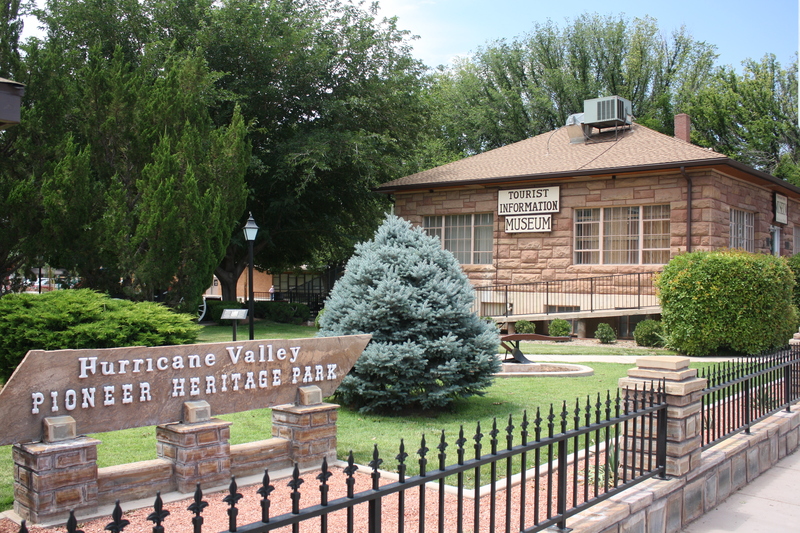 Hurricane Valley Pioneer Heritage Museum – There are actually two museums in this complex, one in the old library building and one in the old Ira Bradshaw home kitty-corner across the street. Both locations boast a vast collection of items chronicling the city’s history, including an extensive photo collection of founding families, canal riders, etc. The “Bradshaw Hotel,” as it is known, is an ideal location for photo ops with old farm implements, wagons and outbuildings on its premises. One reason this museum is ideal for kids is because a splash pad and park are right next door. 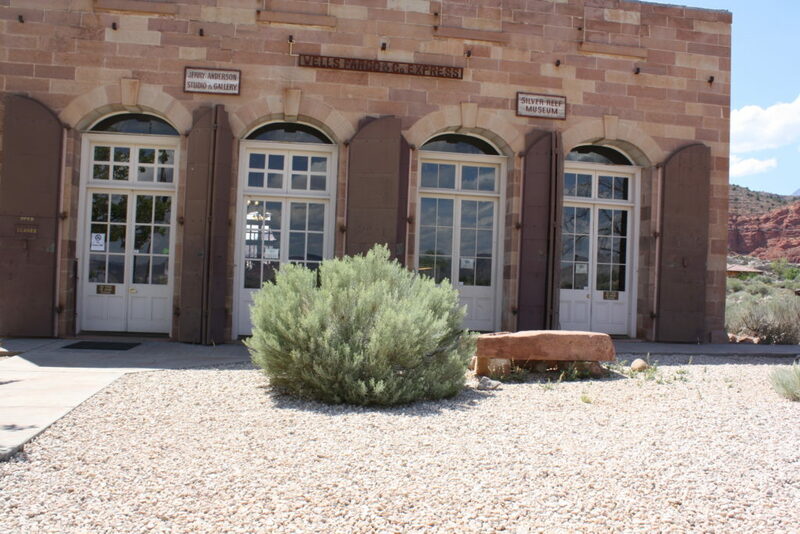 Red Cliffs Desert Reserve Visitor Center/Museum – An excellent place to learn about our red rock desert surroundings and the wildlife that inhabit them, the visitor center is located right in downtown St. George. Kids will love seeing a live desert tortoise, kingsnake and Gila monster, and the visitor center might give you some more ideas on what you can do for fun this summer. 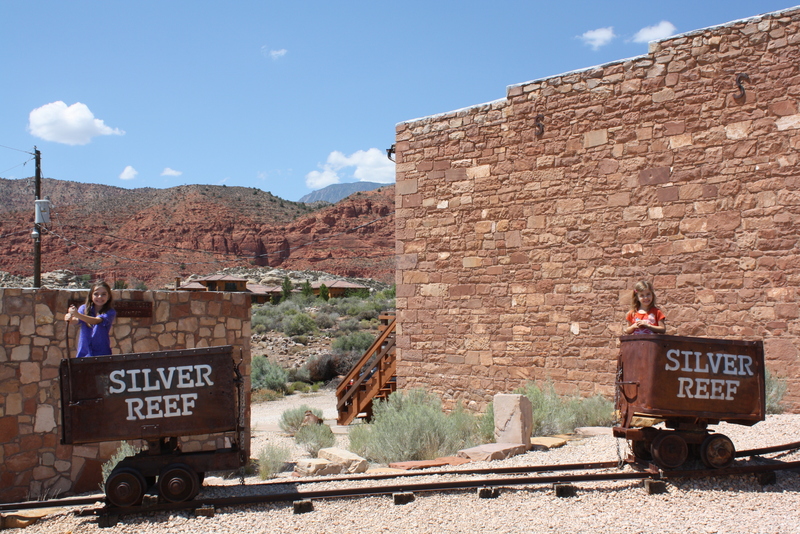 Silver Reef Museum – The well-preserved former Wells Fargo office of this 1870s-1880s mining boomtown is now a museum that showcases the bank’s old vault/safe and other artifacts pertaining to the ghost town’s history. In addition to the museum, there are other historic buildings, replicas and building ruins to explore. The old mining cars on display next to the museum make an excellent photo op. The museum also includes a scavenger hunt for kids. Washington City Museum – Located near the Washington City offices, this museum boasts one large room full of artifacts from the city’s history and is right next to a park with an old-school playground – a historical relic in and of itself. Frontier Homestead State Park Museum – Located in Cedar City, this park/museum affords the opportunity to view an extensive collection of wagons and antique farm equipment as well as historic buildings to explore, including a sheep-shearing shed and a replica of an old iron-ore blast furnace. It’s not that far of a drive up to Pine Valley. When going to Pine Valley, don’t forget to stop and explore Pine Valley Chapel. 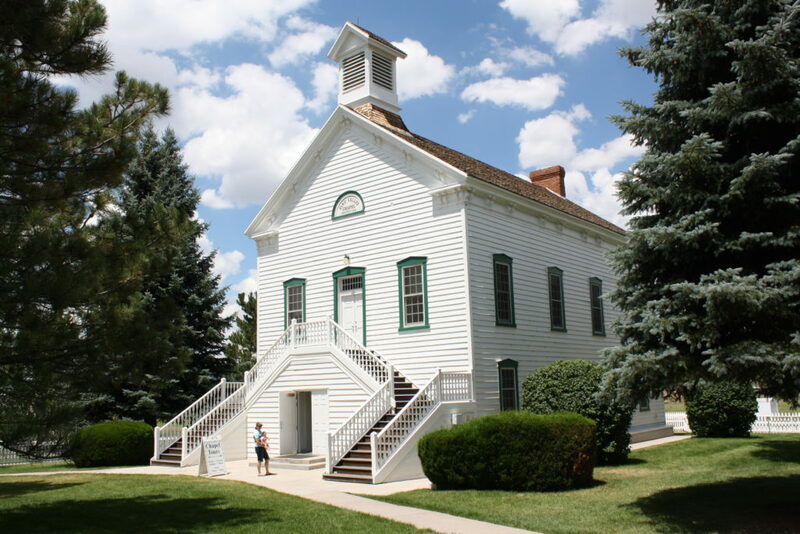 It’s the longest continually operating chapel of The Church of Jesus Christ of Latter-day Saints built by Bryce Canyon’s namesake, Ebenezer Bryce. 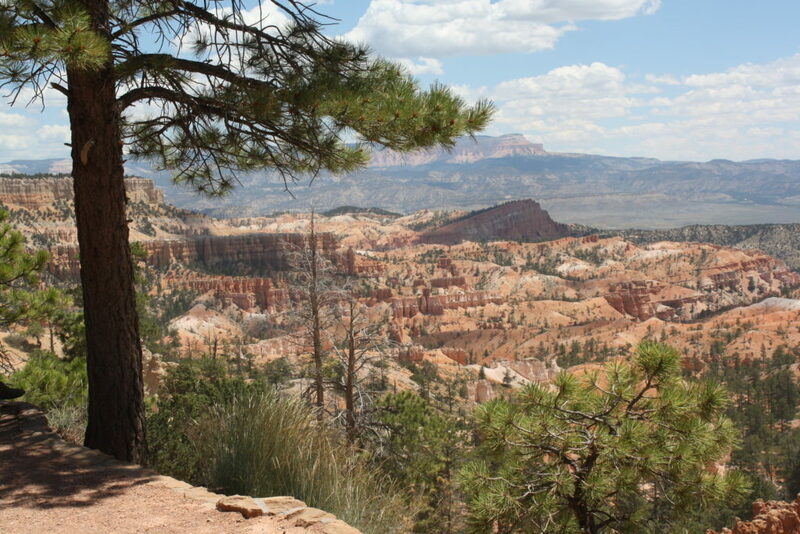 Consider Kolob for a refreshing picnic: Lava Point offers a breathtaking view of Zion besides being an ideal place to picnic in the Kolob Area. 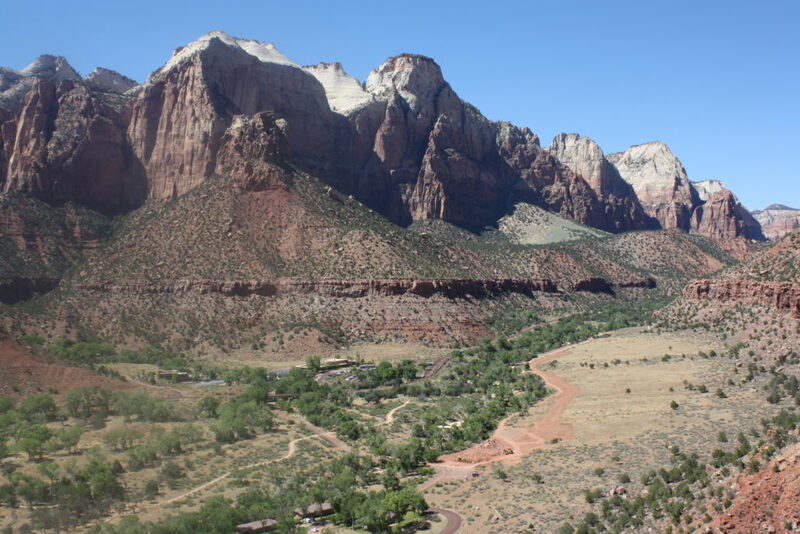 A combination of the Pa’rus Trail and Zion Canyon Scenic Drive, which are perfect to ride in the summer because the road is practically empty since the shuttle is running. Just make sure you pull to the side and stop when one approaches, so it will pass you. 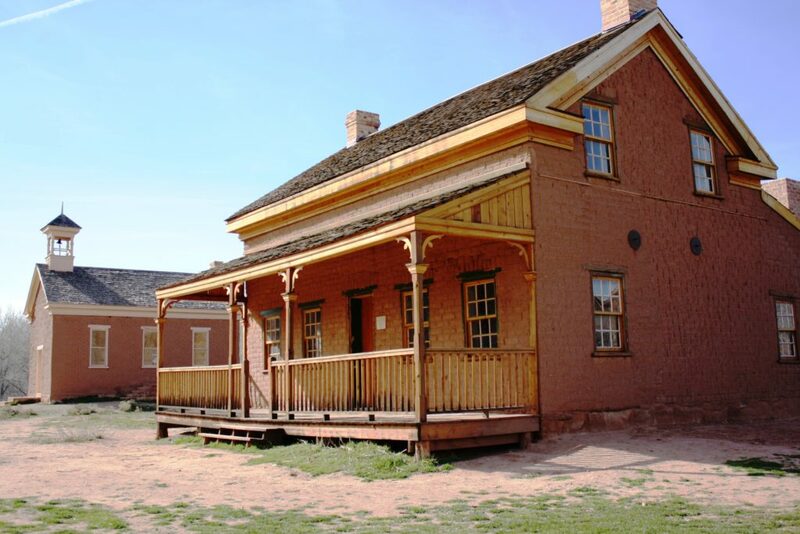 Brigham Young Winter Home and Jacob Hamblin Home – Kids can get a glimpse of what early pioneer life was like in the area by taking a tour of these two well-preserved homes of early pioneer leaders. Grafton. One of the most photographed ghost towns in the American West, Grafton is a testament to the hardships early pioneers faced (especially a losing battle with the Virgin River) and also a picturesque location used in the filming of western movies such as “Butch Cassidy and the Sundance Kid” and “Red Fury.” The recently restored schoolhouse and Russell Home make for ideal photo ops. Hurricane Canal – This site features interpretive signs and a trail along the old canal, a pick-and-shovel-built engineering marvel that was the lifeblood of the Hurricane Valley for nearly a century. Kids will love walking across the flume bridge and exploring an old canal tunnel at the end of the trail. A trip to the canal trail, located at the very eastern end of 200 North in Hurricane, could be coupled with a trip to the Hurricane museums. 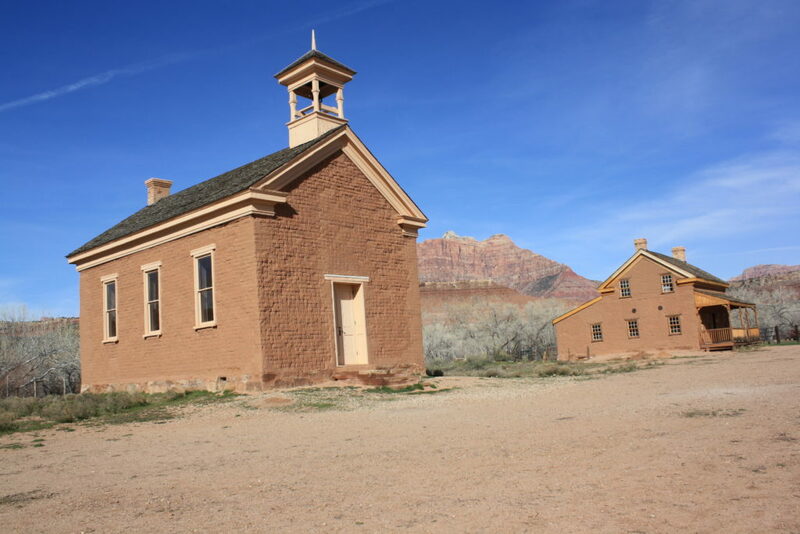 Attend a ranger presentation in Zion National Park – If you want your kids to learn about the natural environment that surrounds them and be inspired by nature, this is an excellent way to do it. 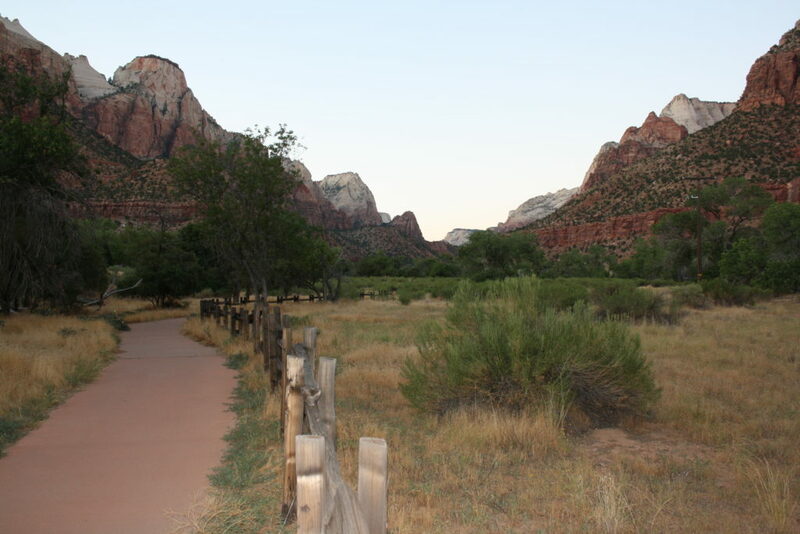 There are many choices when it comes to ranger-led activities in Zion, including presentations on topics such as fires, flash floods and local ecology in the evening at the Watchman Campground Amphitheater, programs for youth about native wildlife at the Zion Nature Center, and even ride-with-a-ranger shuttle tours. Feed the donkeys and take advantage of the photo ops at Fort Zion – This trading post on the west side of Virgin includes a petting zoo where kids can interact with donkeys and a few other animals, as well as feed them a carrot or two. It also boasts a tiny caricatured Old West town that makes an ideal photo op. Fort Zion could be combined with a trip to other locations in the Zion area on this list. 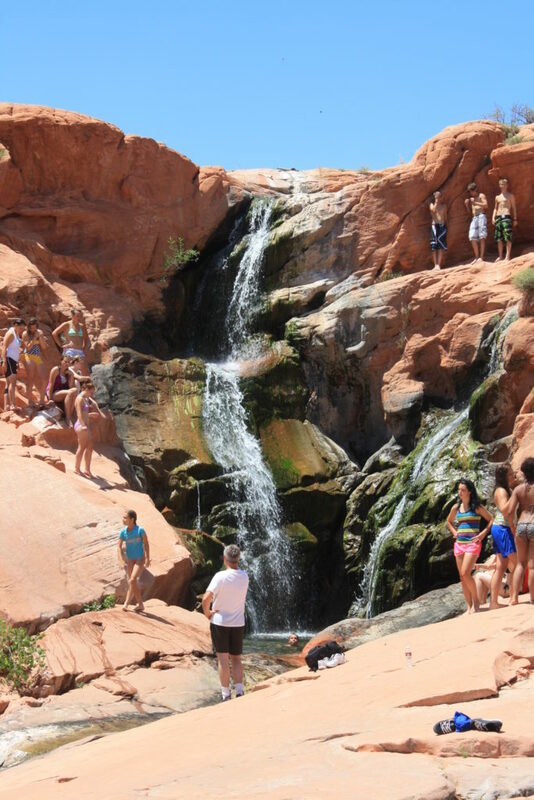 Cool off at higher elevation and to see breathtaking vistas of natural amphitheaters and a canyon full of red-rock hoodoos. 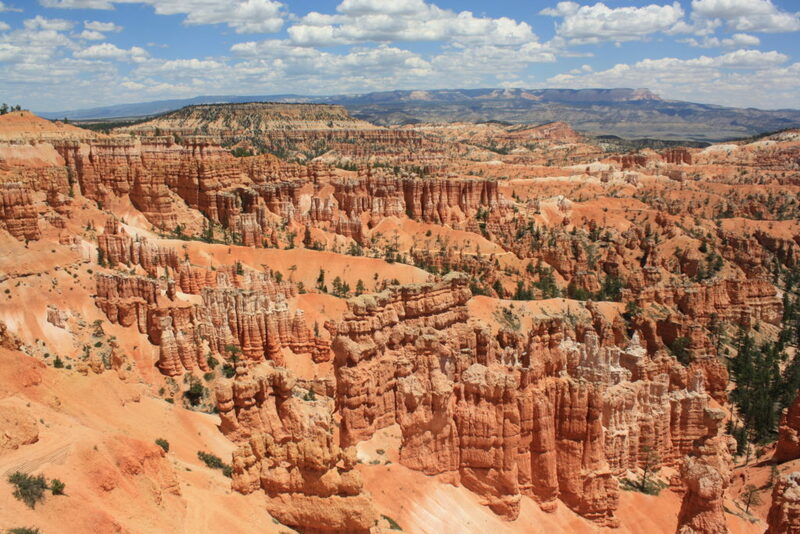 The Rim Trail and Navajo Loop Trail in Bryce Canyon, as well as the paved trail up Red Canyon, are ideal for children. Driving up scenic Highway 14 provides pristine mountain scenery. 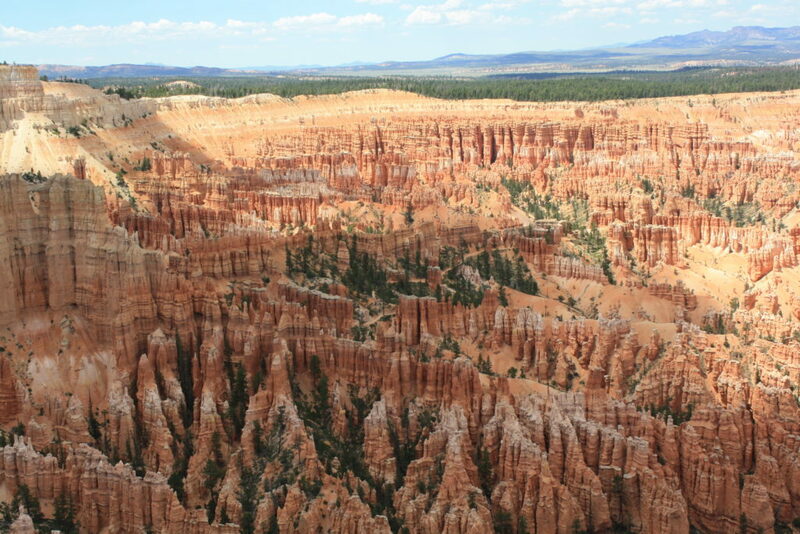 While there, stop at Cedar Breaks National Monument, Woods Ranch or another location to take it all in. Cedar City itself boasts two parks with top-of-the-line play areas, Park Discovery and Main Street Park. Stick around in the evening if you go to Cedar City from late June to early September for the Utah Shakespeare Festival’s Green Show on the campus of Southern Utah University. 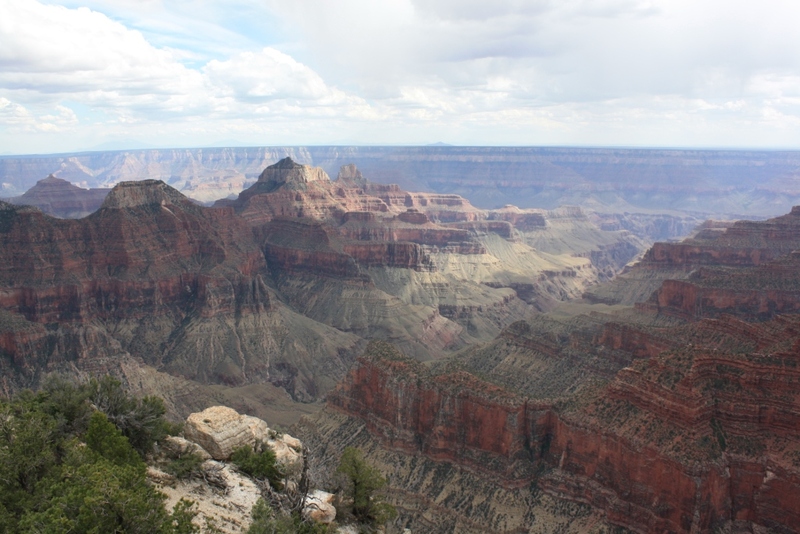 Another way to cool off at a higher elevation is to day trip to one of the world’s seven natural wonders, the North Rim of Grand Canyon National Park. The views are spectacular wherever you go, but one trail that is particularly good for children, especially if you have a stroller, is the Bright Angel Trail. 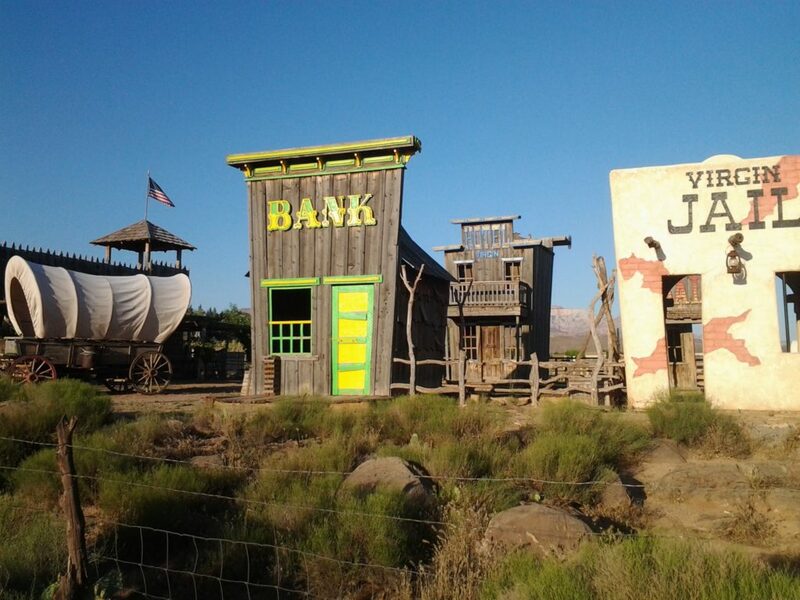 This once-popular location for filming Hollywood westerns has a lot to offer. To learn about filming westerns, see former western sets and put on western costume items for fun do-it-yourself portraits, head over to the Little Hollywood Museum. Make your animal-loving children ecstatic by taking a tour or volunteering at Best Friends Animal Sanctuary. You’ll see a wide variety of animals there, everything from parrots to horses. As part of your park and pool tours, you can visit the Kanab Pool and Jacob Hamblin Park, located right next to each other. Doing the things on this list should keep you busy for a while and result in fabulous photos and unforgettable memories. One of the things you might consider doing is putting items from this list (and other things you want to do this summer) on slips of paper, put them in a summer fun jar and draw a few of those slips of paper from the jar each week as your itinerary. Have fun, keep cool and leave your own ideas not included on this list in the comments! Summer awaits you … the tour starts now. Reuben Wadsworth's day job is teaching English to eighth and ninth graders at Hurricane Middle School. 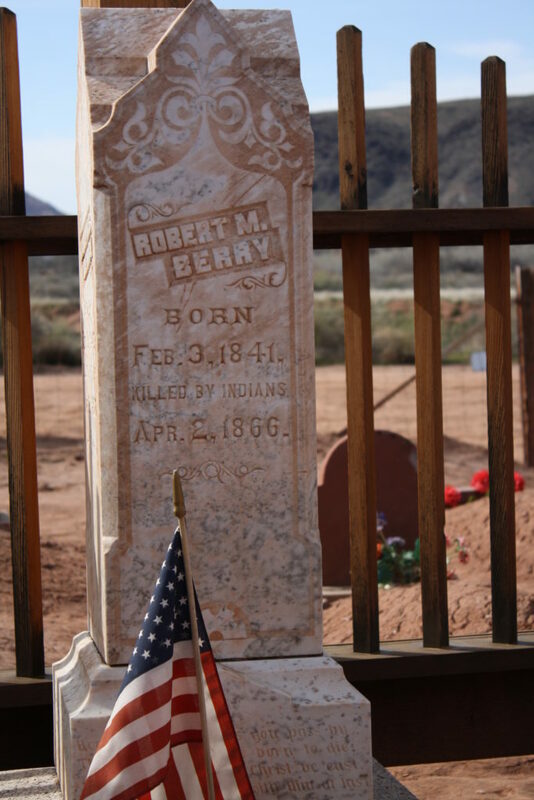 He also dabbles as a historian, teaching U.S. history as an adjunct at Dixie State University. His most important role, however, is as husband to his wife, Melissa, and three daughters, with whom he enjoys taking excursions to enjoy Southern Utah's astounding beauty. Reuben also blogs about fatherhood, teaching, history, the outdoors and life in general at Wadsworth Longfellow: http://wadsworthlongfellow.com/.